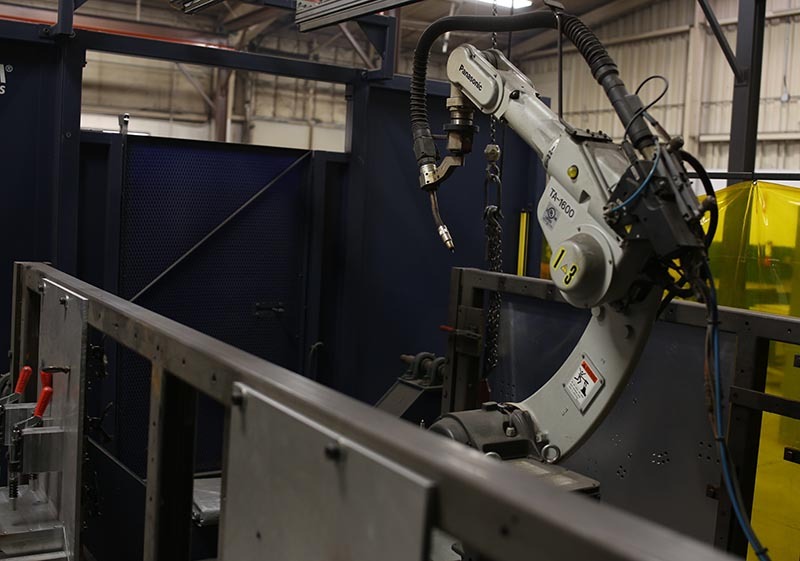 Astro Manufacturing provides robotic welding for large production runs to help reduce customer costs. Our process allows for the ability to quickly move from one weld point to another with precision and accuracy. In addition to cost savings, we offer more consistent and repeatable weld joints, ensuring a high quality product with less scrap. Because of the consistency less consumables are used, and the process significantly reduces material due to the precise welding process. Contact us today to learn more about Astro Manufacturing & Design’s robotic welding services.